Chicago's annual Joseph Jefferson Awards were handed out for Equity productions on Monday at the Drury Lane Oakbrook Theatre, with the Goodman Theatre's production of Eugene O'Neill's The Iceman Cometh and Follies, the Sondheim/Goldman musical produced at Chicago Shakespeare Theatre, each taking home six statuettes. The Second City's We're All in This Room Together revue and The Doyle and Debbie Show, a lonesome road production in association with Jim Jensen and Lisselan Productions, which played for a few months at the Royal George Theatre, each won two. Illinois State University alumni also won two awards, with Gary Griffin winning for his direction of Follies, and Kevin Depinet picking up an award for his scenic design for Iceman at the Goodman. Depinet earned his MFA at ISU, and his local set designs included Beast on the Moon at Heartland Theatre. 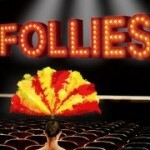 Follies was named Best Musical (Large), with director Griffin, Musical Director Brad Haak, Costume Designer Virgil C. Johnson, Actress in a Principal Role Caroline O'Connor and Supporting Actress Hollis Resnick all named winners. 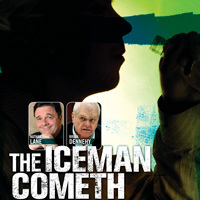 In addition to Depinet's Scenic Design award, Iceman won Best Production of a Play (Large) as well as Best Director for Robert Falls, Best Ensemble for the acting crew, Best Supporting Actor for Brian Dennehy, and Best Lighting Design for Natasha Katz. Lee Hall's The Pitman Painters won Best Play (Midsize) for its TimeLine production, while Doyle and Debbie was named Best Musical (Midsize). Brian Arntson, one of the creators of Doyle and Debbie, won as Best Actor in a Principal Role in a Musical. Other acting awards went to Larry Yando for his performance as Roy Cohn in Court Theatre's Angels in America, Diane D'Aquila from Chicago Shakes' Elizabeth Rex, Timothy Edward Kane in Court's An Iliad, Alex Goodrich in HERO, the Musical at the Marriott Theatre, and Natalie West in The Butcher of Baraboo at Red Orchid Theatre. Edgar Blackmon took top honors for performers in the Revue category for Who Do We Think We Are? at Second City. For Best New Play, Ayad Akthar's Disgraced tied with Sarah Gubbins' The Kid Thing, while HERO the Musical, with book by Aaron Thielen and music and lyrics by Michael Mahler, won as Best New Musical. Oren Jacoby's Invisible Man was the winner in the Best New Play (Adaptation) category. You can see all the winners here and test yourself on how many of these productions you saw.